The 2018 Ferrari 488 GTB is a 2-door, 2-seat Coupe, available in 1 , the Base. Upon introduction, the $252,800 Base is equipped with a standard 3.9L, 8-cylinder, engine that achieves 15-mpg in the city and 22-mpg on the highway. an Automatic transmission is standard. 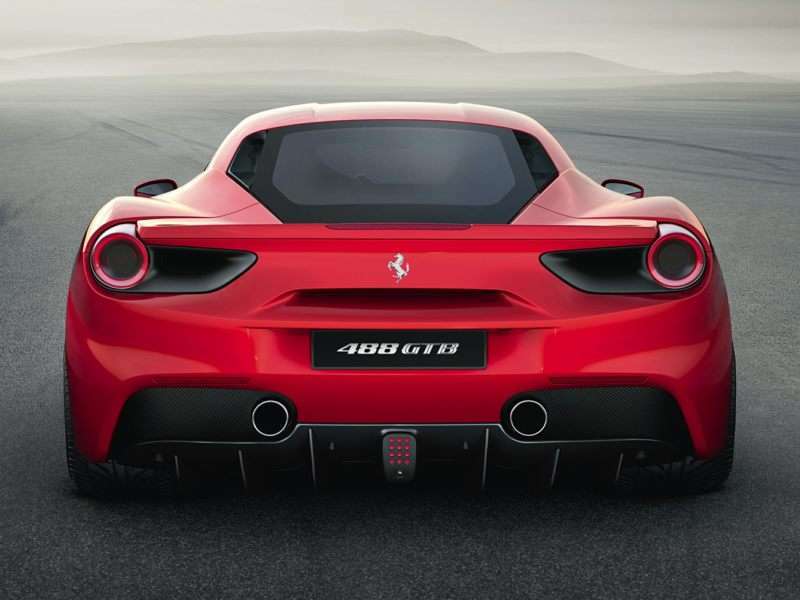 You’ll be perusing this collection of new Ferrari pictures for quite some time. Driving a Ferrari is the ultimate dream of many an automotive enthusiast; and yet, as coveted as Ferrari road cars are, the company’s founder never placed much emphasis on them. His passion was racing; for Enzo Ferrari, the road cars existed only to support Scuderia Ferrari’s racing efforts. In fact, the company was in existence for a full 17 years before it even offered a car specifically for the street. Fortunately, the rest of the world looked upon Ferrari's cars with considerably more passion. Within this collection of new Ferrari images you’ll find some of the most beautiful cars ever created. Ferrari started running its own Formula 1 Grand Prix cars in 1950, and the company has been racing in Formula 1 ever since. The first Ferrari Grand Prix win came at Silverstone in 1951, in the British Grand Prix. One year later, the team won its first championship with Alberto Ascari at the wheel. Today, Ferrari is the oldest and most successful F1 team in existence. Further, it holds nearly every Formula 1 record. Road car production started in 1949, with the Ferrari 166 Inter—the first Ferrari model to be sold specifically for road use. A 2.0-liter V12 engine producing between 110 and 140 horsepower powered the 166 Inter, depending upon the carburetor configuration. This collection of new Ferrari photos features today’s lineup, which includes a mix of V8 and V12 powered cars—as well as front- and mid-engine powertrain configurations.